Here is Intel RealSense R200 tear down. 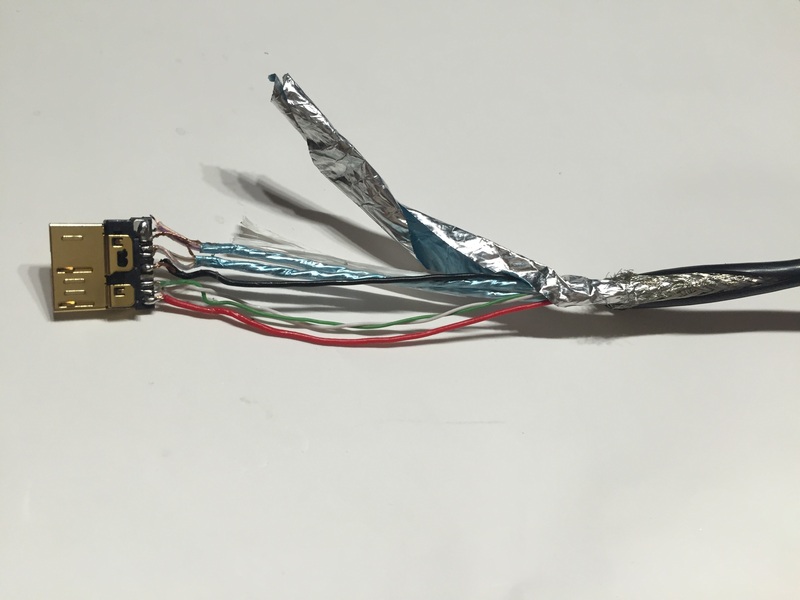 And this is original(hacked) the Intel RealSense R200 USB 3.0 board and connector cable. Running on Windows 10 with Intel RealSense SDK. Following is Mac OS X EL Capitan with librealsense. This original board for RealSense works very well on Windows/MacOS 🙂 Just USB 3.0 micro type B connector for this board/USB 3.0 Type A Male is needed. This RealSense board can use for special case/frame/housing, AR/VR original camera, and more different use for over the R200 case/connector restrictions. Thanks for TMCN community, kou, lee!! This board BOM list and circuit design is here. Intel RealSense R200 datasheet is here. or if you can share the shcematic circuit design and component list,it would be great. like Niko, i need to plug my internal module F200 in my USB 3.0’s PC ! i become deseparate to do it ! Do you know the name of the specific plug (10 pin internal) or its technical name ? Could you share with me the shcematic circuit design and component list ? Like Niko and Francois, i also need to plug an internal module F200 in my USB 3.0 PC. I don’t know how to do it ! Could you share with me the shematic circuit design and component list ? I am also looking for information on the connector for this board. what type is it? 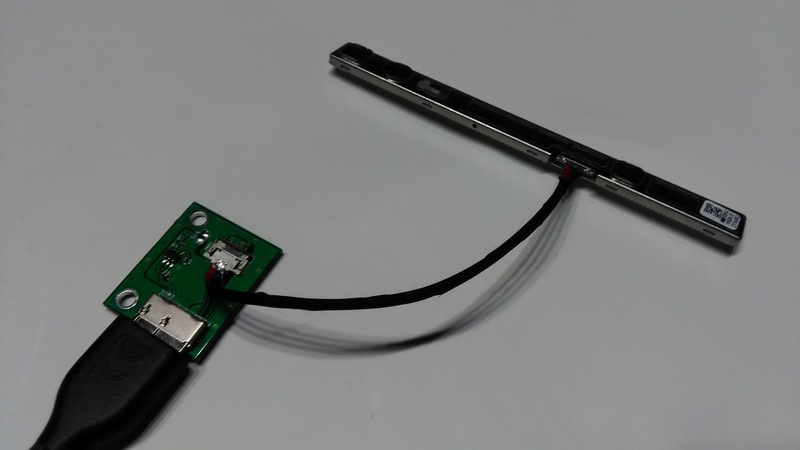 Hi, this board to PC connector is a USB 3.0 cable, and board to realsense camera connector is the IPEX CABLINE V on this board. okay, I will send you message. Hi Udo, this internal camera(Intel RealSense R200) size is about with : 102mm, height : 10mm, thickness: 3mm. Do you think there is a way to cut away 1mm on every size? Maybe the shielding or even the PCB? I think…it’s hard. I don’t recommend you that cut away this camera shielding or PCB even if about 1mm, I’m afraid about the something parts on this camera will be broken. Thanks for putting together all this information. I am planning to connect a realsense webcam, taken from a Dell laptop, to a desktop computer through USB 3. Could you please let me know how to proceed with the circuit schematics and components? Thanks in advance. 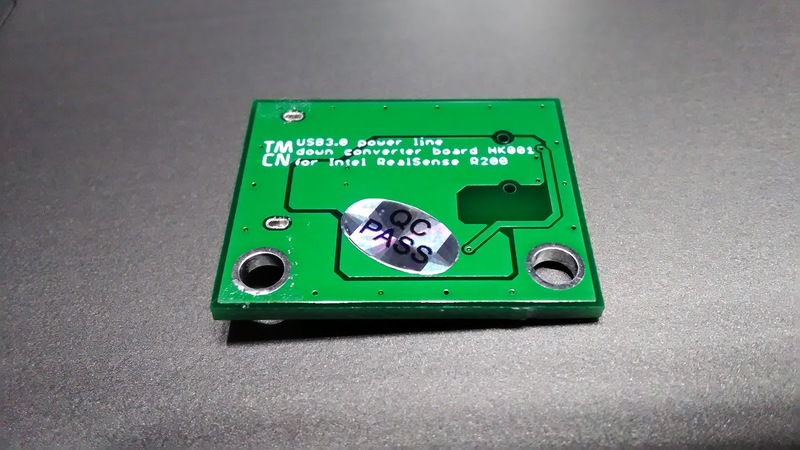 Could I also get the info about the TMCN USB 3.0 power line down converter board? I have a R200 without cable, and i search the soluation for a long time. Your website is really helpful for me . I want to build a pcb for my r200, Would you please share the shcematic circuit design and component list with me ? this is great work! Would you mind sharing the schematics and board layout? 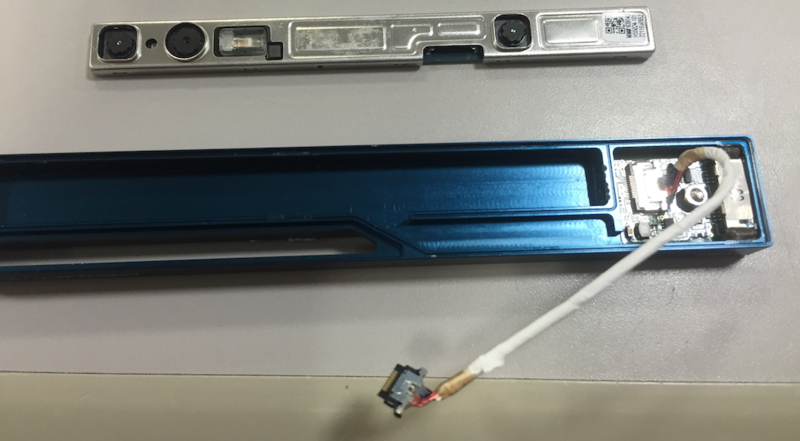 Many thanks for this well documented tear down of the Realsense camera. As many before me, I would like to connect a Dell F200 camera to my USB 3.0 port, and later on, install it in my robot. Could you share the connector pinout and/or the connector board schematic with me? By the way, does anybody know the differency between the following modules: R200, F200, F250 and SR300? Very interesting to see the innerlife of the R200. We’re currently trying to disassemble the Dev Kit in order to get the little USB 3.0 connector out of the frame .. as its hard to find a small USB 3.0 Adapter the one built in the Dev Kit seems a pretty good opportunity. (Very top picture on the right side of the case). And did you find any store where to buy these IPEX-cables, as for now Amphenol doesn’t respond. I got IPEX 20347-310E-12 cable got from china’s OEM cable company. 20pcs total price is $70($3.5/pcs), shipping coast is $8 from Shenzhen, China. I got it in about 1-2 week from order. If you want it from microcable, I will introduce sales support. I am interested in buying IPEX 20347-310E-12 cables from microcable, but their website does not work. Please can you introduce sales to me? Thank you very much for this information! Yes, it would be great to get introduced to the sales support. What lenght is the IPEX 20347-310E-12 ? And a MartyG. at Intel RealSense Community gave me the hint that actually you/TMCN printed the USB 3.0 Board by yourself, right? Overread that 😉 – Can one buy one or would you share the shematic circuit design? Please contact me by mail! And if I get it right, your USB board does the same as the little one on the right side of the blue case (top picture) right? Great work indeed. USB3.0 cables of realsense are very sensitive. I have been searching in many places to buy the IPEX cable. Amphenol does not respond properly. Can you get me in touch with sales support of microcable OEM company ? 20pcs total price is $70($3.5/pcs). I would introduce you to the microcable sable support with your e-mail? Would you please share me the schematics and board layout?Many thanks! Great Job! Thank you for sharing your work. Your post is very interesting. Would it be possible for you to also send me schematics or any information at all on TMCN USB 3.0 power line down converter board? I am trying to build a motion capture rig and your set up would be very useful for me. I really happy to see your post. I want to information TMCN USB 3.0 power line down converter board or schematics. Could you give a any information? Like Niko, Francois, Peter and probably many more, i also need to plug an internal module F200 in my USB 3.0 PC. I have no idea on how to do it ! Thank you for your nice document, it helps me a lot! And I want those IPEX 20347-310E-12 cable from microcable, but the website of microcable is not available now, Would you mind introduce sales support to me? Like the other commentators, I read your blog post and it’s very interesting. Can you please let me know where I can buy the HK001 USB3 board to connect the R200 module? Or if you can share the schematic circuit design and component list, that would be awesome. The picture of the connector board is not very clear so I guess that you just change the voltage from 5V to 3.3V to adapt the R200 camera? I found some single camera on Alibaba without cable, can I just make a simple converter only for changing voltage? 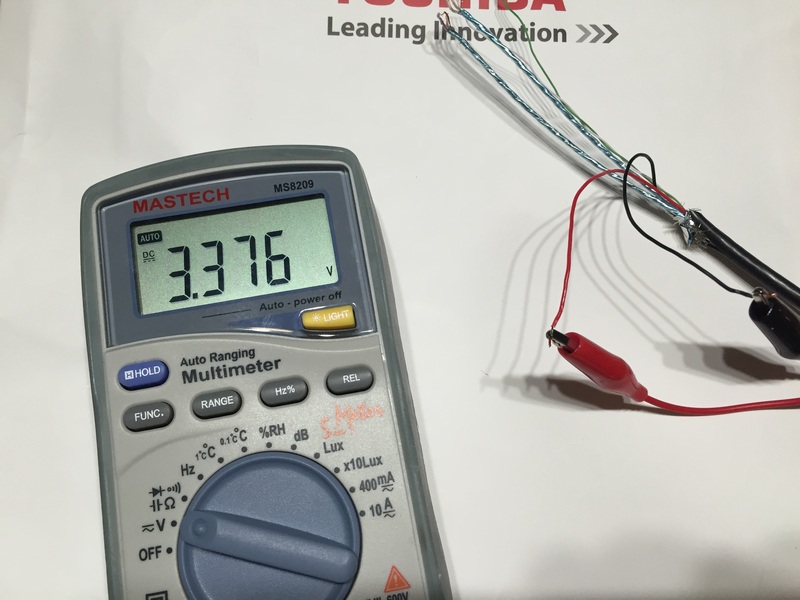 Yes, that’s you think this board have 5V to 3.3V regulator(MIC5219-3.3YM5-TR). And Intel RealSense camera board connector is IPEX 20347-310E-12, maybe you can make the RealSense USB 3.0 converter by yourself with regulator/IPEX cable connector. I’ve been looking for the solution for a long time. With your selfless help, I’ve start to looking for some suitable part in local electronic components store. Thank you. I tested this board on F200 and R200. Here is F200/R200 video with this board. 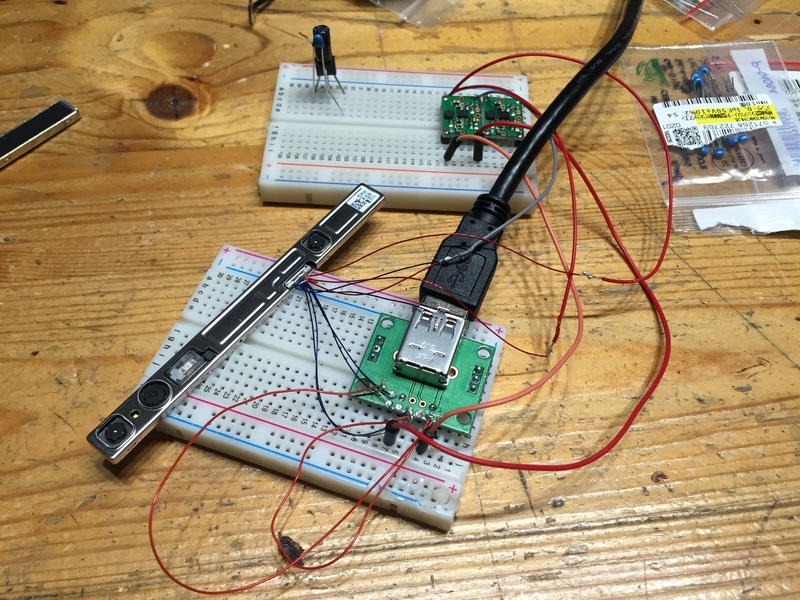 F200 and R200 USB 3.0 connect use same IPEX 20347-310E-12, I could work RealSense SDK/librealsense library with this single board and both Camera. I hope this will help you. That sounds great, my friend and I are getting ready to make the convert board. I wish we can do this. You did awesome job. Your solution definitely help us reduce much budget for 3D camera by using dell realsense webcam board. Appreciate if you can share me the schematic circuit design. I append this original board BOM list and circuit design files on my Google Drive link url to this blog entry. Please check it. I bought an F200 camera, an ASM1117 regulator, an USB 3.0 to DIP connector and a 20346 cable. Now I can use Windows Hello on my desktop based on Intel Xeon E3 1230 V2. I am definitely interested in using the same camera that is used in many Dell laptops. Could I trouble you to send me the same information (schematic, parts, etc.) you used in order to connect this camera to a USB 3.0 port? Thanks so much in advance! Also, great job on your work – very impressive! Yes, this board use USB 3.0 port. Please check “This board BOM list and circuit design is here.” link in this page, that is my Google Drive folder(RealSenseBoard) you can find the circuit design and parts(BOM), pictures. Would you mind introduce me to place where I can buy the IPex cable? I looked it up in the alibaba link but could not find the same item. Thank for your great work. I got a IPEX cable from cable manufacturer Shenzhen CenterMCX Technology Co, my quote cable prices was $3.5/pcs(I ordered 20pcs and 30pcs by same price. maybe it will same price even if small quantity). Yes please help introduce me. Thanks. okay, I will mail to you. Thanks for putting together all this information. I am planning to connect a realsense webcam, to a desktop computer through USB 3. Could you please let me know how to proceed with the circuit schematics and components? İ check ”This board BOM list and circuit design is here.” but didn’t found any circuit. Thank you for all the great work you have done and shared on the blog. Much appreciated! I’m now studying in university and working with Intel Realsense R200 camera but couldn’t connect via USB. Could you please share with me the schematic circuit design and component list ? Thank you very much. Keep up the wonderful job!